KYIV -- In 2014, Vladimir Putin discovered his inner Trotsky. For what Russia's president is now offering Ukraine is a perverse twist on the formula Trotsky proclaimed during the peace negotiations at Brest-Litovsk in 1918: "No war, no peace." In doing so, Putin has not only moved to trap my country in a frozen conflict that will prevent both democracy and the economy from flourishing; he has shredded the rules and norms that have kept the peace in Europe for three generations. No one should believe that the Minsk Protocol -- agreed in September by representatives of Ukraine, Russia, and the Kremlin-backed armed militants in the eastern cities of Donetsk and Luhansk -- marked the beginning of a return to normalcy in either Ukraine or Europe. Under that agreement, Ukraine's government ceded de facto control of the Donbas region, supposedly for only three years, to Russia's hired secessionists. 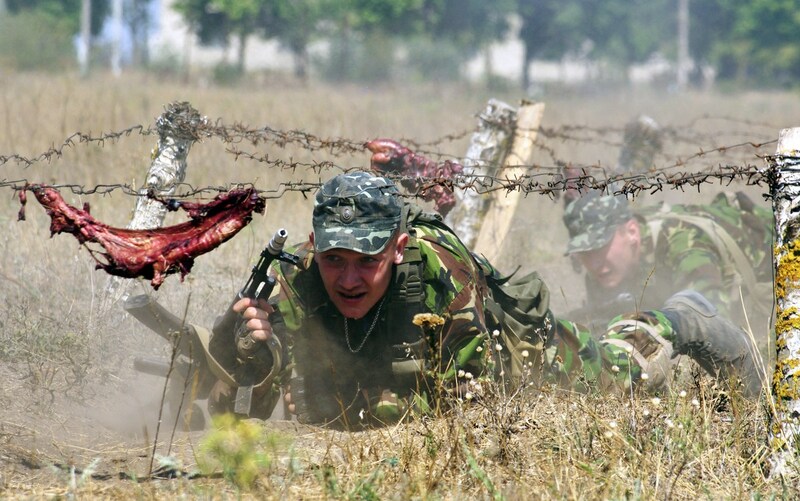 But this imported hybrid war -- and Russia's bid to carve up Ukraine -- is far from over. On the contrary, the Minsk Protocol marked only the end of the beginning of Putin's program to turn Ukraine into a vassal state, and to restore a Russian veto over its neighbors' international relations. His efforts to thwart Ukraine's European future will continue, as will his efforts to hollow out our democracy and replace it with a Kremlin echo chamber, unless the world imposes such a high price for his imperial ambitions that the Russian people refuse to bear it. So, in 2015, the resolve that Europe and the United States have shown in opposing Putin's designs must not only be maintained; it must be hardened. Yet, sadly, there have been signs of slackening Western commitment. The European Commission's agreement in September to postpone full implementation of Ukraine's association agreement with the European Union -- the agreement that Ukrainians fought and died for in Kyiv last winter -- signaled to Putin that cunning, force, and intimidation can win Western acquiescence in his subjugation of Ukraine and theft of Crimea. The delay, intended to show the EU's determination to make the association agreement work, has instead only whetted Putin's appetite. His hope is that some EU members' interest in securing Russian gas supplies during the winter will cause them to forget their allies' security interests -- a classic divide-and-rule strategy, served chilled. Europe cannot afford to be taken in by it. Ukraine may now only be passing through the eye of the storm. Putin, knowing that the Russian Army's current logistical systems for supplying Crimea are insufficient, appears to be readying plans to secure a land corridor from the Russian border through southeastern Ukraine. That is why some of the most sinister figures behind Russia's other frozen conflicts, such as Lieutenant-General Vladimir Antyufeyev, the long-serving "state security minister" in Moldova's breakaway Transnistria region, are now calling the shots among eastern Ukraine's armed militants. Antyufeyev is using the tenuous ceasefire agreed under the Minsk Protocol to create a cloned KGB service, called the MGB, to intimidate Ukrainian citizens trapped in Donbas into submitting to proxy Kremlin rule. And, with the Donbas economy's crown jewels having been "nationalized" (and the rest eviscerated), the region's emerging industries are crime and kidnapping, of the sort seen in Transnistria, Georgia's breakaway provinces of Abkhazia and South Ossetia, and other Kremlin-backed statelets. The desire to secure access to Crimea is also why the Russian Army is now focused on the strategic port of Mariupol, a gateway on the Sea of Azov, for a land bridge. Europeans should understand the inherent dangers in creating a land corridor through another country, given the Nazis' use of the Danzig Corridor as a pretext to invade Poland in 1939. Surely, a day of reckoning will come for Putin, whose aggression is slowly wrecking the Russian economy. But when that day arrives remains too uncertain for Europe and the world to let down their guard and ease their pressure on the Kremlin. Indeed, if peace is to come to Ukraine -- and if Putin is to be prevented from using the same strategy elsewhere -- the world must let him know that some lines may never be crossed. After all, Ukraine is not the only country under the gun, as Putin's recent threats to "protect" Russian citizens in Kazakhstan, not to mention his intimidation of the Baltic states, attest. This is not an issue that concerns only the West. China may soon need to decide whether it can sit back and let the Kremlin whittle away the geo-strategic gains and enhanced security that came with the Soviet empire's demise. After all, it is no coincidence that China's quarter-century of extraordinary economic growth came after the Soviet threat on its border was eliminated. Indeed, contrary to what Putin claims to the Russian public, the Chinese are not fully committed to backing him in his confrontation with the West. One sign of this is the hard bargain that President Xi Jinping struck in negotiating China's recent huge gas contracts with Russia; another is that Chinese lending to Russia since the invasion of Crimea has actually declined. As Ukraine prepares for another year of confrontation, the world should understand that one fact is non-negotiable: our country will be an independent, fully sovereign state. No foreign government will gain a veto over any aspect of our internal decision-making. Our future is for Ukraine's citizens to decide, period. This rules out our recognition -- at any time and in any form -- of Russia's annexation of Crimea and occupation of Donbas. 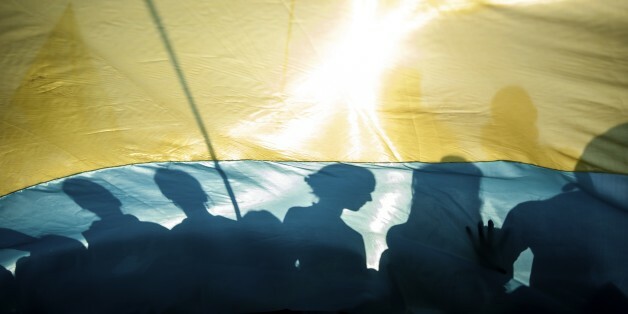 Ukrainians' unity, spirit, and devotion to their freedom remain undented. War has forged a new patriotism that peace will not extinguish. We will continue to defy Putin and his efforts to reduce Ukraine to a semi-sovereign buffer state. But Ukraine's ability to resist, and the international community's ability to prevent brute force from having free rein, depends on whether world leaders understand that appeasement begets only further aggression. If they do not, 2015 could mark the return of a European and world order that was supposedly overcome seven decades ago. This piece also appeared on Project Syndicate.